Malkin, Crosby, Letang, Kunitz, and Hornqvist—each of whom has been sidelined at points this season—are all back in the line up. Malkin (9th) and Crosby (4th) are each top 10 in the league in scoring. Letang, with 41 points, is second only to Mark Giordano in defenseman scoring. But the Penguins are 7-6-3 in 2015, and with less than half a season standing between the team and the playoffs, the losses feel more weighted (especially when they’re shutouts) and the wins start to feel like not enough. So, how much should we expect from this year’s Penguins? 1. The bottom 6 has got to get better, and it’s not reasonable to absolve current management of their role in its making. I’m not making trade deadline predictions, I am stating facts: the Penguins can’t do much in the playoffs if they’re hamstrung with this roster. Between 2013-2014 and 2014-2015, over half of the roster was turned over, including 4/6 players in the bottom 6, yet the Penguins continue to struggle with depth. Ray Shero may have traded Staal for Sutter, but Jim Rutherford gave Sutter a real show of confidence in signing him to a new, $3.3 million deal. Shero played a role in its current construction and suffered for it, but 4/6 players is enough turn over to look at new management and get a sense for their vision. Take a look at how that’s working out for them. That’s not good enough. Nowhere near good enough. No other team is asking their top two lines to do the level of heavy lifting the Penguins are asking theirs to do. Crosby and Malkin are trying. They rank in the top 10 in scoring this year, and since 2012 are 6th and 4th respectively in playoff scoring per game (min. 7 games)*. They are pulling their own weight in the playoffs and then some, but we’ve asked them to pull the weight of the team long enough. It hasn’t worked. I was, I’ll admit, a little surprised at Hornqvist’s production. His shooting percentage this year seems to be right in line with career averages, so it’s not that he’s snake bitten, but one thing to note is that his shooting is down this year compared to past years, and he’s not the only one. Kunitz is both shooting less and shooting fewer of the shoots he does take on goal (if you exclude the lockout-shortened season, he’s near a career low in both shots and shot attempts). This is something to address sooner rather than later. Overall, as a team the Penguins should aim to shoot more. They’re averaging just under 30 (29.8) 5v5 shots per 60 now and are 10th in the league, but that number is being buoyed by earlier periods of high shooting--in their last 16 games, the Pens are averaging just 26.4 5v5 shots per 60. To compare with Chicago and the Islanders, they’re gonna want that number to be over 31 even strength shots per 60 (Chicago clocks in at 33.7 and Long Island at 31.7), and they cannot continue to see that number drop. The logic in shooting more is simple: if you score on 7% of your shots and you shoot 25 times, that’s 1.75 goals per game. 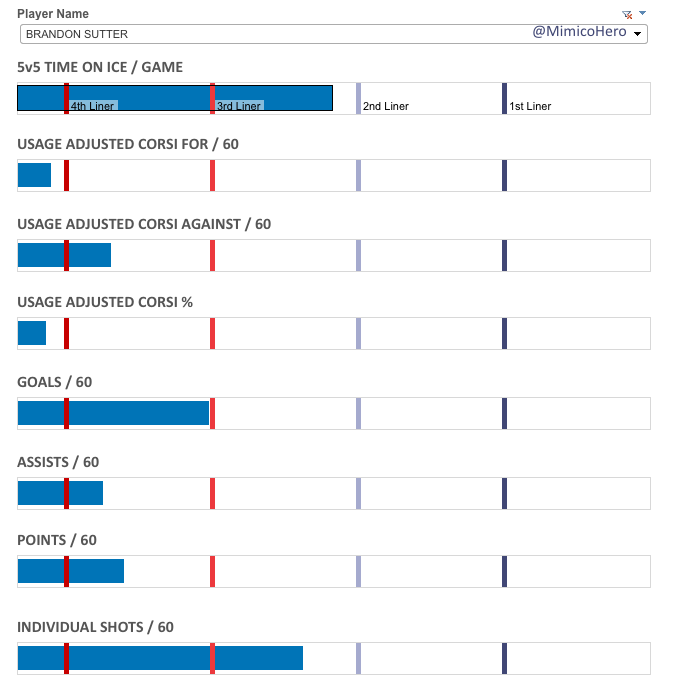 If you get that number to 30 shots, it’s 2.1 goals per game. More shots means more goals, even if your team isn’t riding a hot streak, and a team that's been shutout 6 times so far could use a few more goals. 3. The Penguins are doing okay. The Penguins should shoot more, win more, always play their best roster, leave Rob Scuderi at Nassau Coliseum on the next trip through Long Island, trade for better players, allow fewer shots against on the penalty kill, play Fleury less, waive Zach Sill (would settle for waving goodbye to him as the bus pulls away on the next road trip), take fewer penalties – I’ll leave the list there. Reality: Pittsburgh’s score-adjusted Fenwick-for of 53.4% is good for 6th in the league. The Penguins are doing okay. The Penguins have shown they can be pretty good. I’d be more worried, frankly, if the Penguins were Montreal, riding a lights-out Carey Price, a PDO of 102, and a 48.8% score-adjusted Fenwick for percentage. The Penguins aren’t quite the paper tigers that the Habs are. But they’re not playoff ready either. The Penguins cannot account for luck. They cannot control whether they run into a hot goalie, whether Crosby shoots at 5% in the playoffs, or whether another player takes a puck to the jaw that sidelines him for 6 weeks, but they can put themselves in the best position to win by returning to and continuing to build a roster that consistently allows them to out shoot their opponents. If they don’t win the Stanley Cup, they’ll be in the same boat as 28 other teams and it’ll be the same place they’ve been since 2010. But if they don’t win the Cup and they fail to outshoot and out chance their opponents this year, it will represent a change from past years—one that we can only look at the current regime to answer for. As long as the trade deadline looms, though, there’s always hope. Botterill remains a constant in the front office and the Penguins had a quiet, but significant, trade deadline last year. Perhaps he will bring some of his expertise to the table this year. And, I mean, how much longer can the Panthers healthy scratch Bergenheim for after all? 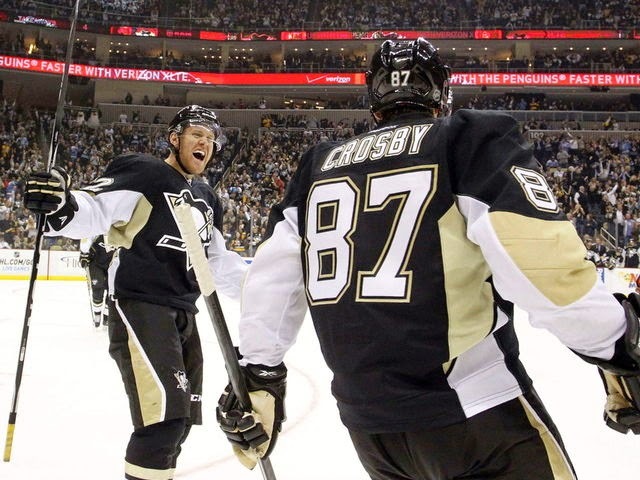 * Thanks to @LyleKossis for drawing attention to Crosby and Malkin’s prolific playoff scoring.